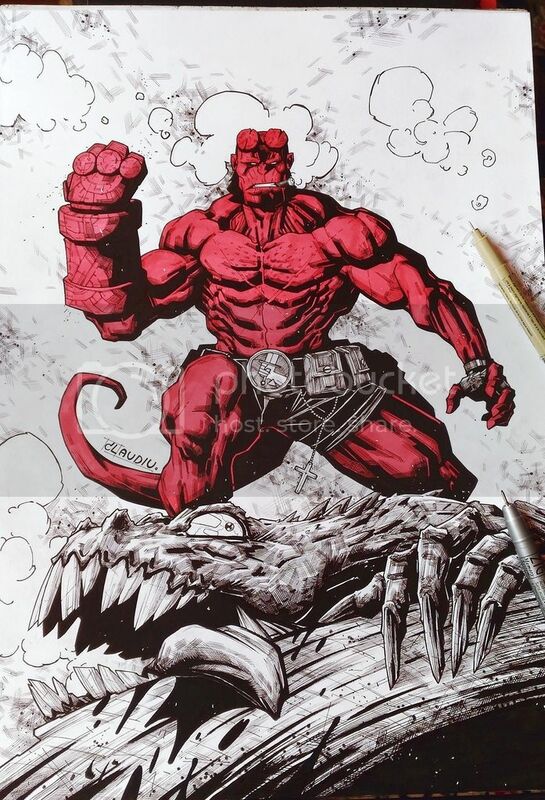 Here's some recent Hellboy piece I did in inks and copic marker for the red part, done on 11x17. hell yeah, dude! this is awesome! That red color really makes the piece stand out. Very nice.